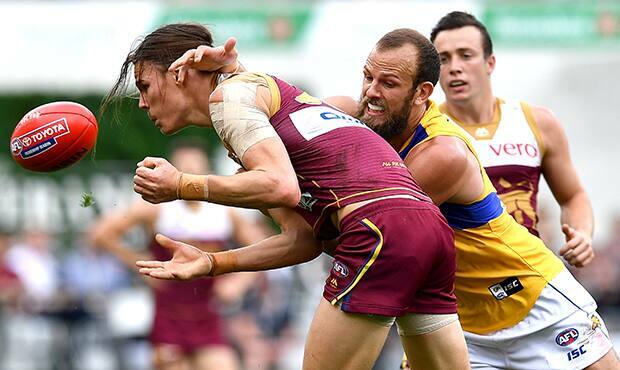 Veteran Eagles defender Will Schofield is in the box seat to take Brad Sheppard’s spot but he is far from a certain starter for next Saturday’s preliminary final at Optus Stadium, according to Adam Simpson. West Coast’s match committee will be tasked with selecting a suitable replacement for Sheppard, whose season was cruelly cut short after he sustained a severe hamstring injury during the opening exchanges of the club’s qualifying final win over Collingwood. The 27-year-old is a proven big game performer who is usually sent to the opposition’s most dangerous forward to limit their impact. Schofield has performed terrifically this year, bouncing back from a trying 2017 campaign to register 10 quality games in blue and gold. Simpson admitted he was unlucky to miss last weekend’s bout with the Pies. However, that does not mean he has been given the green light to play in the preliminary final. The senior coach said several other players, including wily defender Jackson Nelson and uncapped backman Francis Watson, were in contention for the Grand Final qualifier. “Every game he’s played, he’s been pretty consistent,” Simpson said about Schofield. “He’s a role driven player that gets the job done. That’s why the decision (to omit him) last week was really hard because in big games you like those type of players in your side. He was stiff to miss out. Simpson said he would have no reservations about picking Watson to debut in a final. The Category B Rookie stood tall against the Tigers at Claremont Oval a fortnight ago, amassing 20 possessions (13 contested), eight spoils, six hard ball gets, five rebound 50s and two marks. “If his form warrants selection (then we’ll pick him),” Simpson said. “Where we’re at, we’ve managed to debut eight players this year. It would be a pretty big game to come into, but that’s probably not in my mind.